The Top Four Tips to look for when you need Maternity Pants. It’s time for Maternity Wear Pants! The time is coming. The pants are getting tighter, the jeans just won’t button up, pants are becoming uncomfortable. 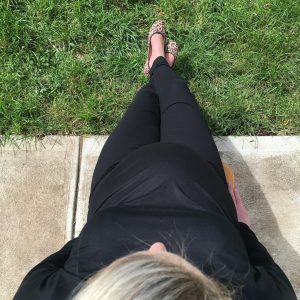 It’s time…It’s time for maternity clothes! It’s time for the elastic waist pant, a fold over waist pant or even a high waisted pant, it’s time for a maternity clothing perception change, it’s time. Maternity clothes may look, feel and be different from what you have previously worn BUT they will become your next best friend. The Top Four Tips when shopping for Maternity Wear. Fabric: Stretch will be an essential choice for comfort and ease of movement. Quality: Choosing quality fabric and the right cut of a garment will be a wise investment to making your purchase last the whole nine months. This will help you save money and also help you feel good about yourself. May even become a favourite for your next bundle of joy too. Wearing maternity clothing that feels good and looks good will make you feel good about yourself and with all the changes your body goes through during pregnancy every little bit helps. Price: The price of maternity clothes may vary. Investing in good, high quality garments that will last you throughout pregnancy and beyond. A starting point of $59.95 to $150.00 is a wise investment of a pair of pants that you will wear daily for 9 months. 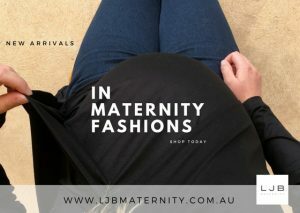 Shopping at Australian and ethically made maternity clothing stores will guarantee that you are getting value for the clothes that you are purchasing. Also look for maternity stores that have Afterpay. This can help you pay off your purchase overtime and allow you to buy good quality maternity clothes. If you are on a budget buying one good quality piece and then mixing in a lower quality piece can extend your options and help you have a stylish maternity wardrobe that is of good quality, long lasting at a reasonable price and is of value to you at this stage of your life. Hopefully these tips will help you in getting starting in choosing maternity clothing. Look out for Deconstructing The Maternity Pant. Sign Up For Our Maternity Fashion Newsletter!